We arrived in Italy, Vicenza to be exact, safe and moderately sound. 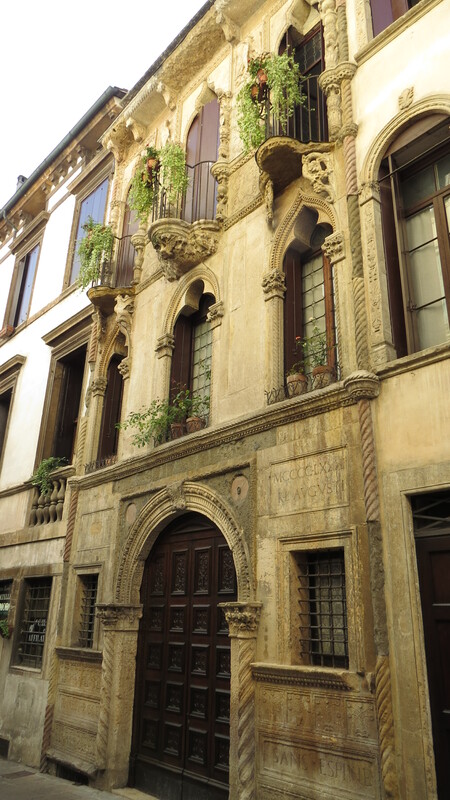 Like all places in Europe, Vicenza has a ton of history. Have you ever heard the name Andrea Palladio? Well Vicenzans are awfully proud of him so before you visit, you might want to familiarize yourself. Here’s a quick overview if you don’t have time for the Wikipedia entry: Palladio lived in the 1500s and was an incredible architect. One building you might know that features his style is the White House. He focused mostly on villas, some palaces, and churches throughout the Veneto region. I’ll be honest here; I hadn’t even heard of Vicenza until I found out I was moving here, much less this Palladio guy. (I’m sure the locals would be horrified by that, so please don’t tell them). I’ve even been to Italy before – I spent a month traveling around for a creative writing trip when I was 17 or so. 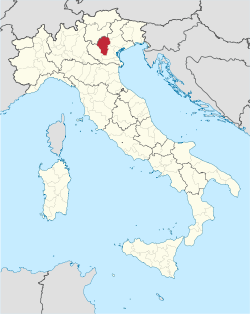 I suppose I have an excuse, because we stayed in the south of Italy and Vicenza is in the northeast, as you can see. Yup, sounds like a good excuse to me! Anyway, one of the first things we did was do a little exploring. Coming from the boondocks of Vermont, public transit was a pretty daunting task for us. Eventually we figured out how to get downtown on the bus (about 2km from our hotel). We had dinner in the beautiful Piazza dei Signori (featuring one of Palladio’s finest buildings, of course). 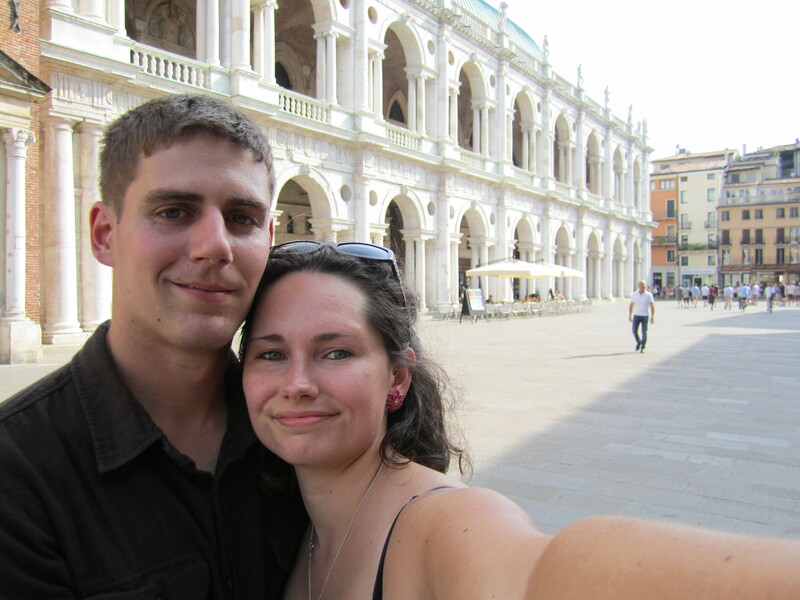 Further explorations of Vicenza showed us beautiful city sites, fountains, countless restaurants to add to our “Must Try” list, and winding narrow streets that even a Fiat would think twice about. Another gorgeous site Vicenza has to offer is Monte Berico. This mount is a part of the Colli Berici (the Berici Hills) which are famous for their wines. Monte Berico, however, has a large basilica perched atop it, along with a parking area and restaurant that have breathtaking views of the city, and, on clear days, the Dolomites behind it. It’s an amazing spot – definitely a must-see even if you’re only here for a weekend. Here are some pictures of the view of Vicenza (unfortunately the mountains were just a dim afterthought on this day) and the church. There’s certainly more to show you about our dear city, but it’ll have to wait for another post. This one is long enough, I think. 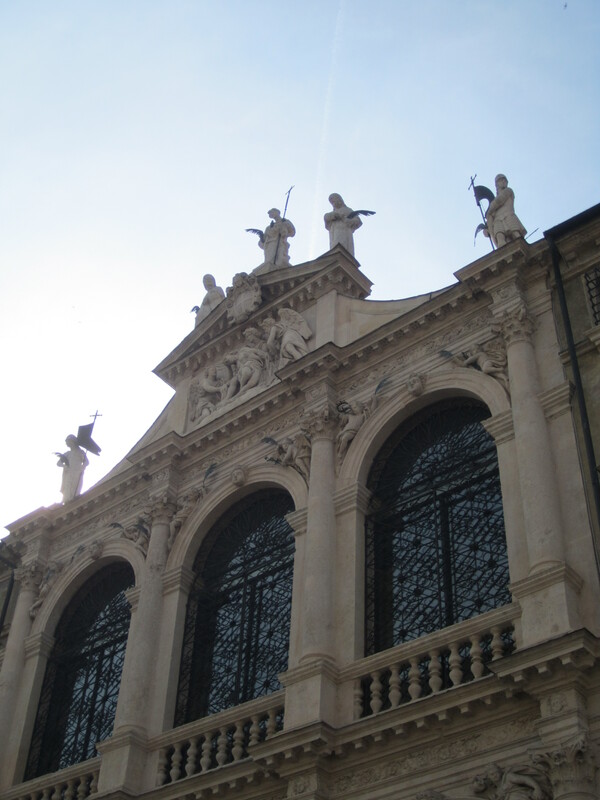 This entry was posted in Italy, Travels and tagged home, Italy, Monte Berico, Vicenza. Bookmark the permalink. Great to know the story with the photos. Love that Fey. Steve ricks can retire to Miami now. Thanks Dad! Glad you’re able to read them.